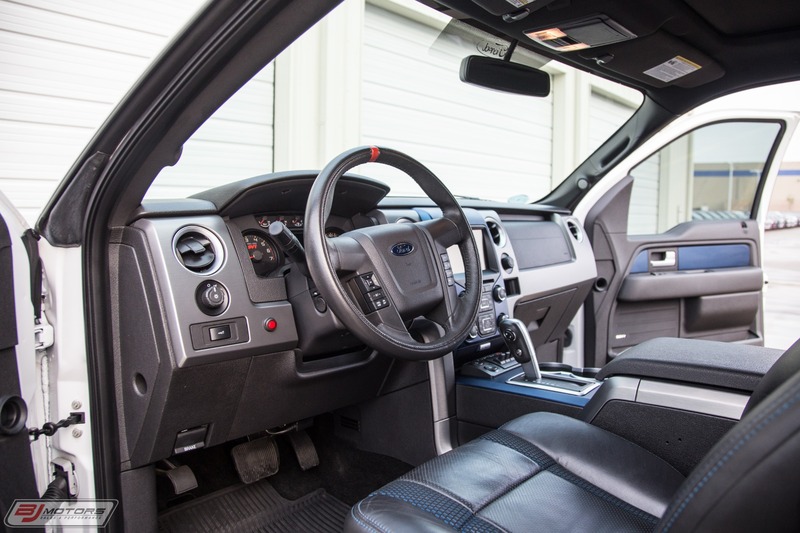 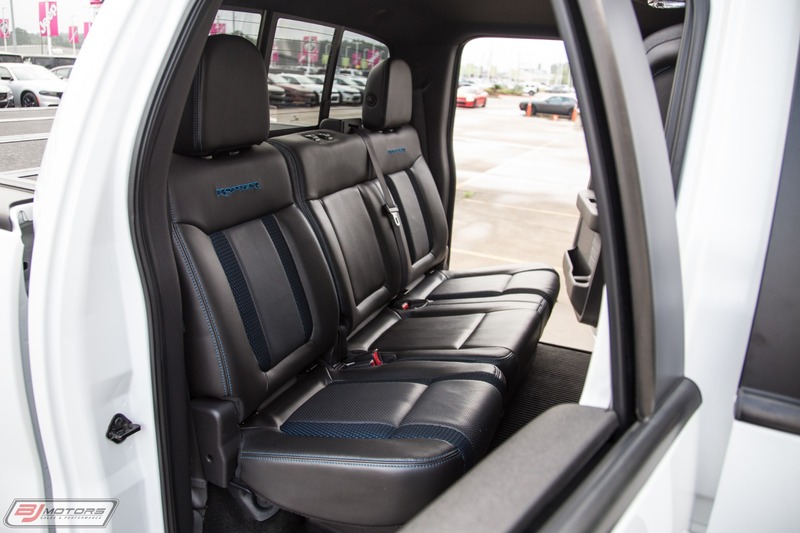 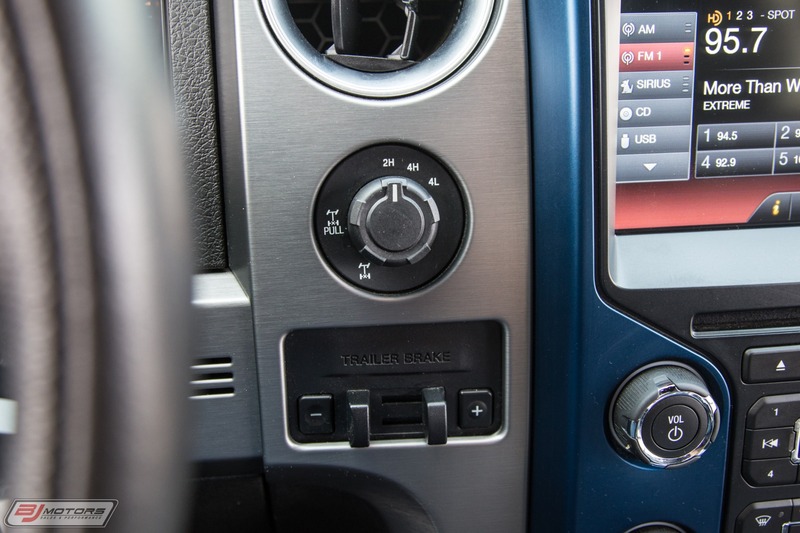 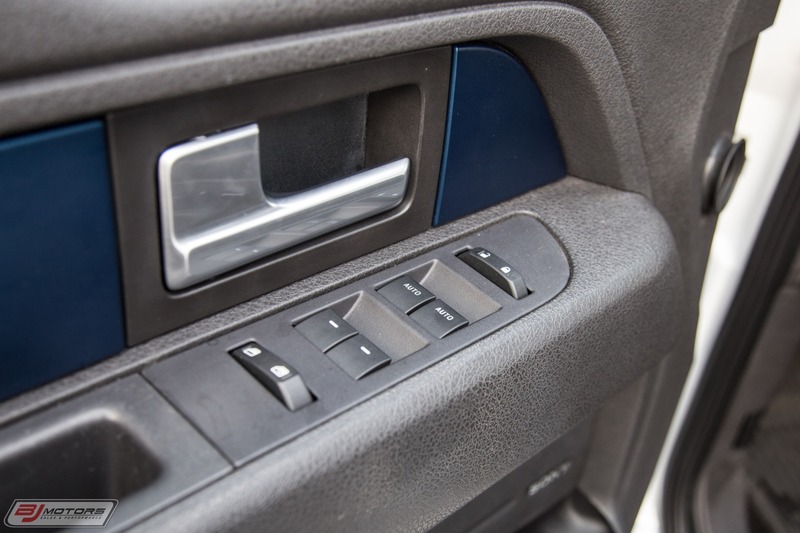 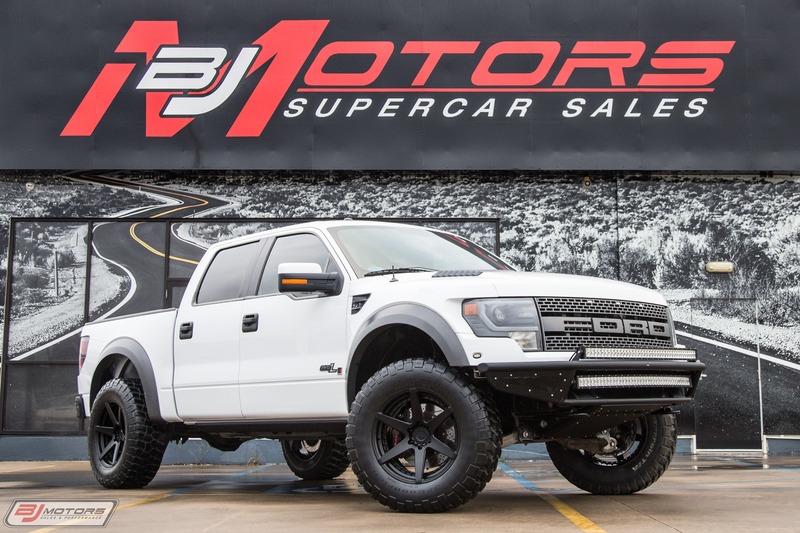 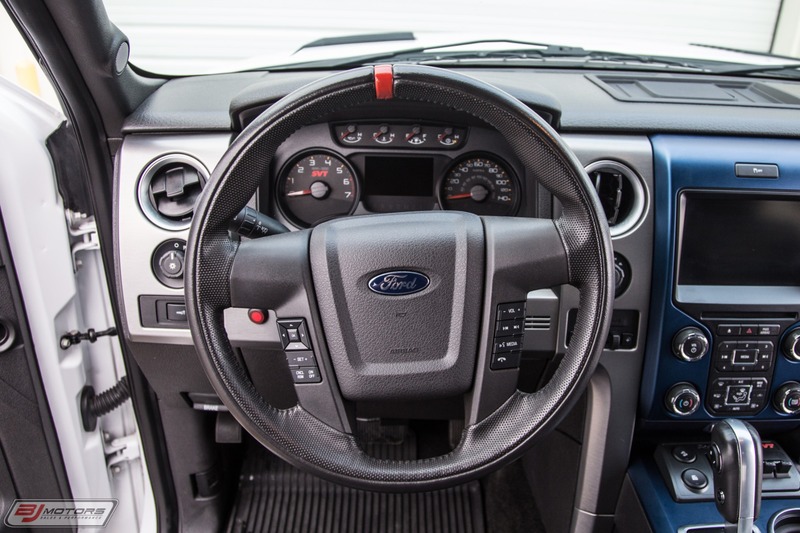 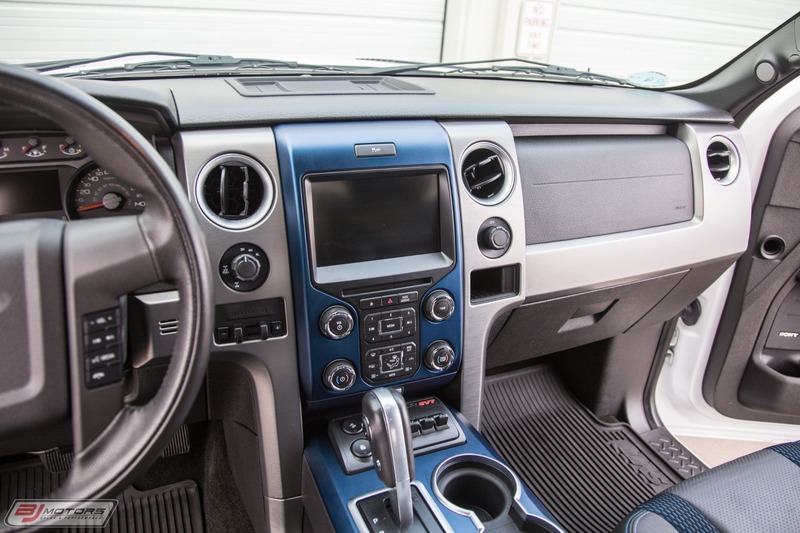 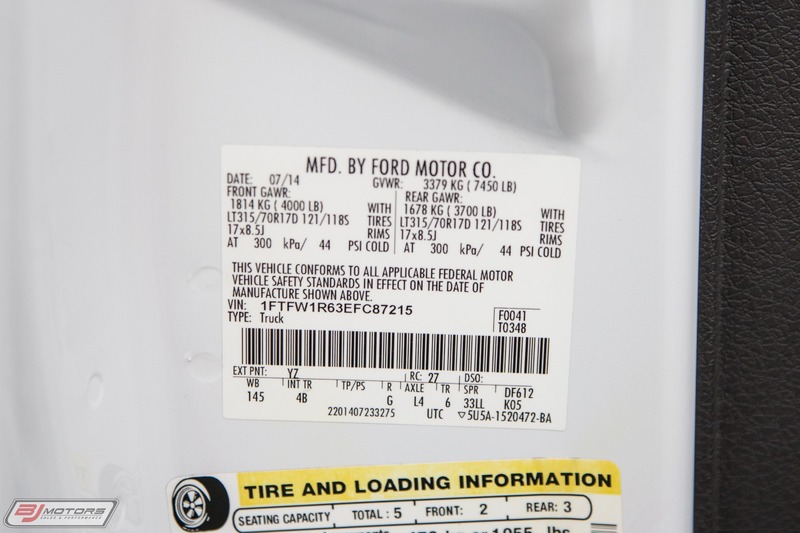 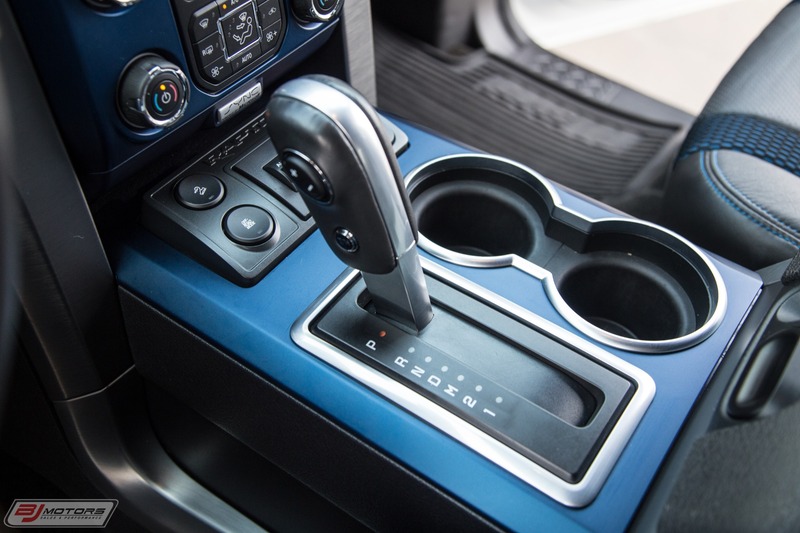 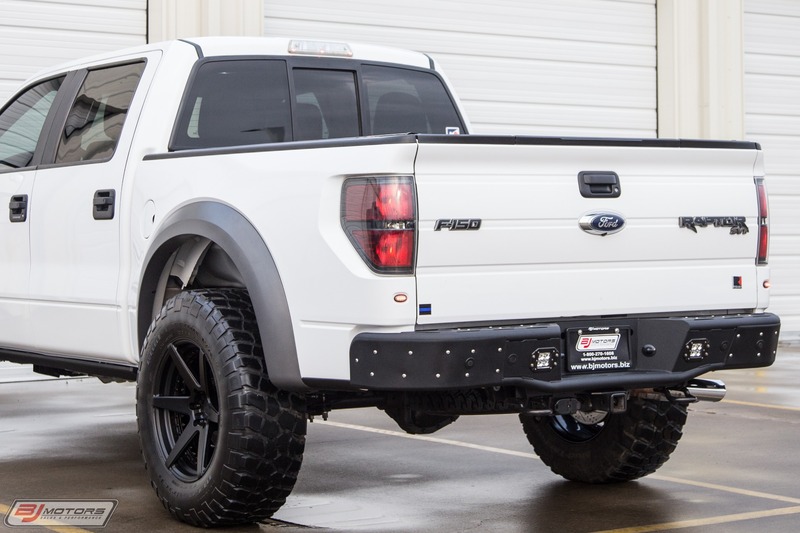 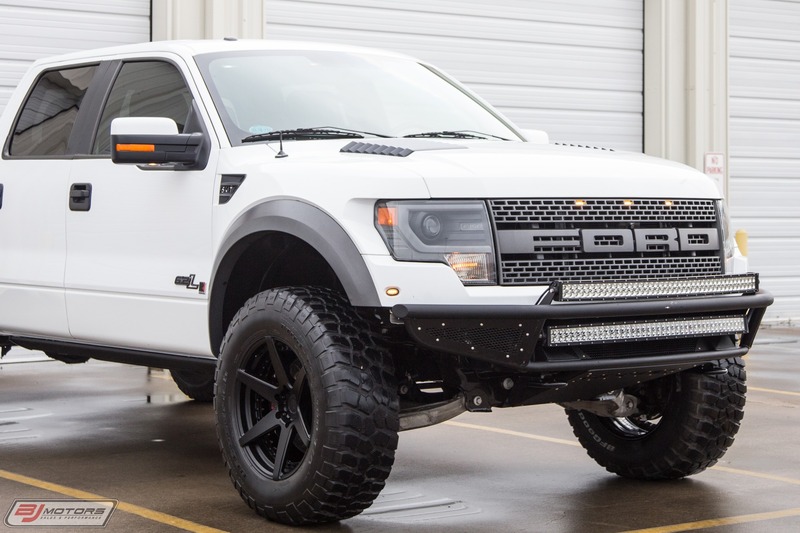 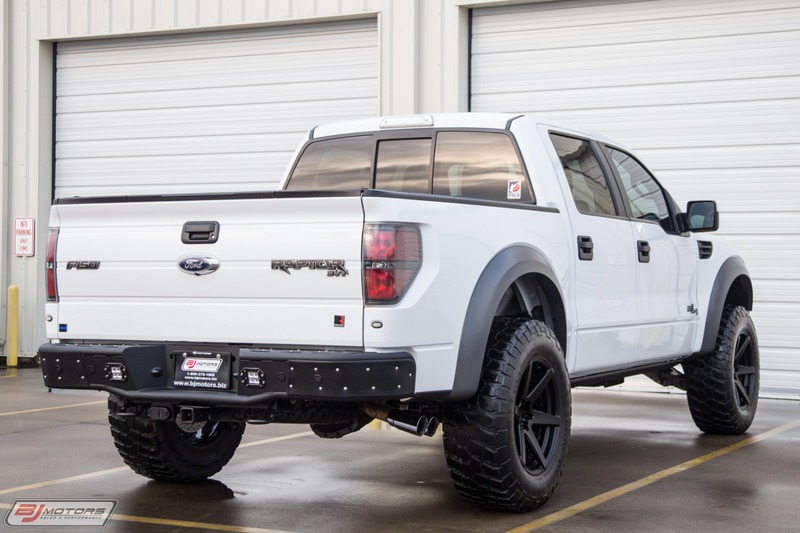 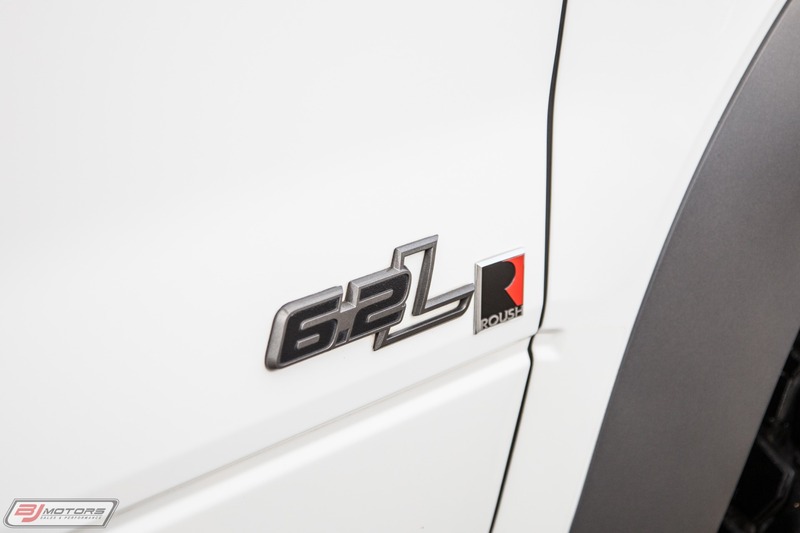 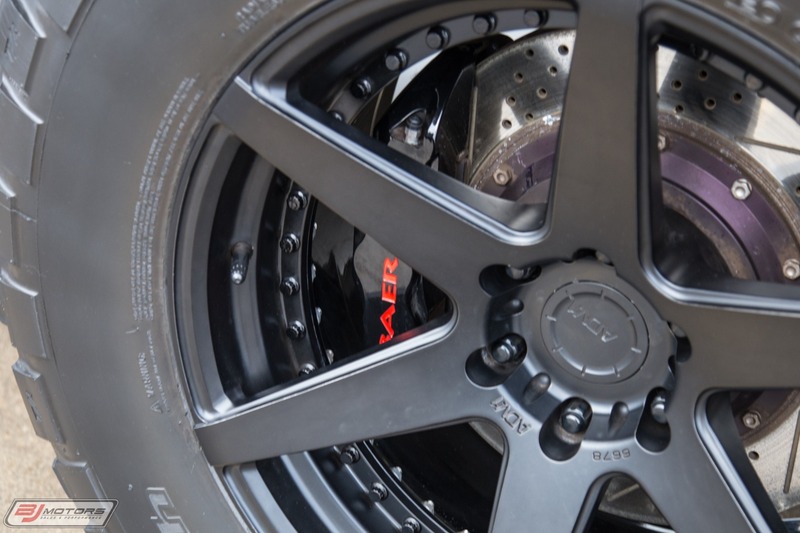 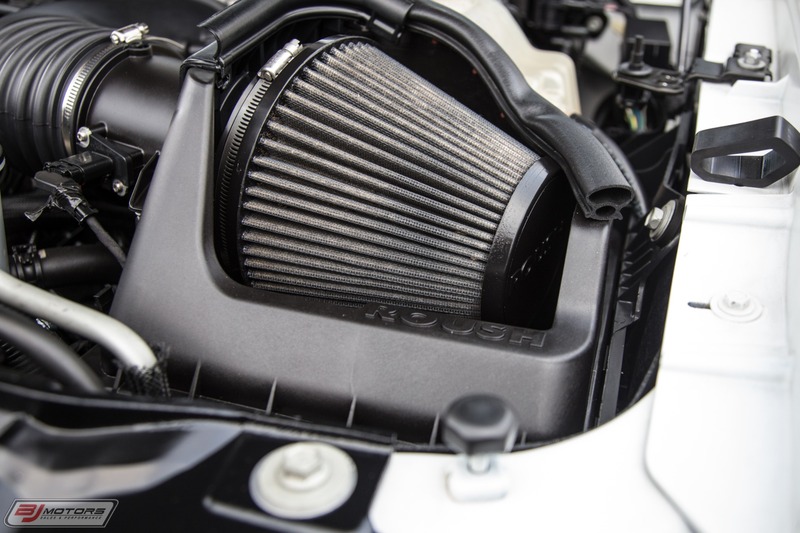 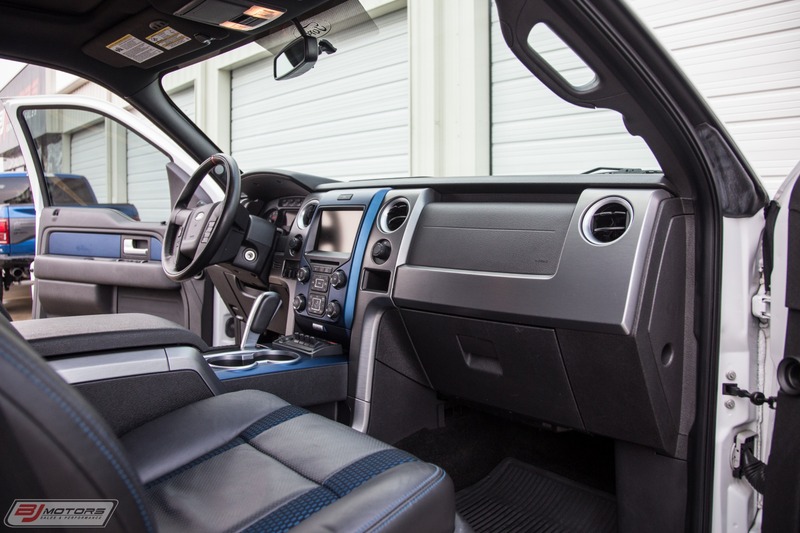 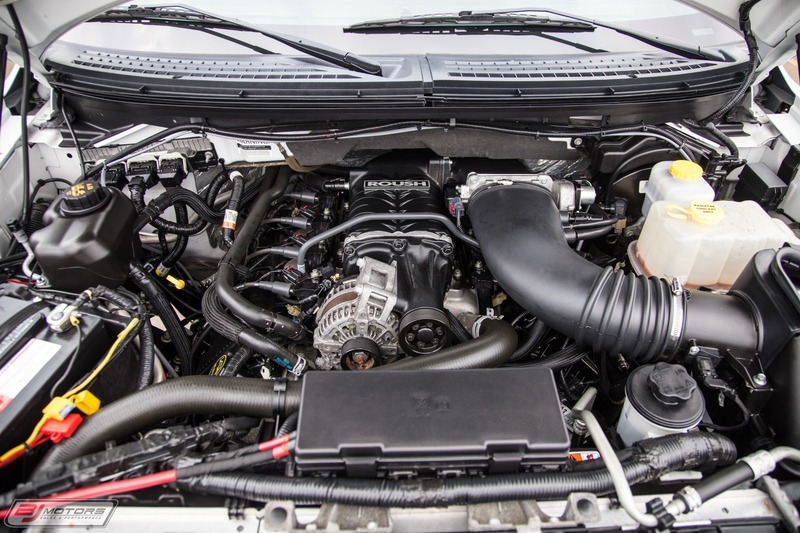 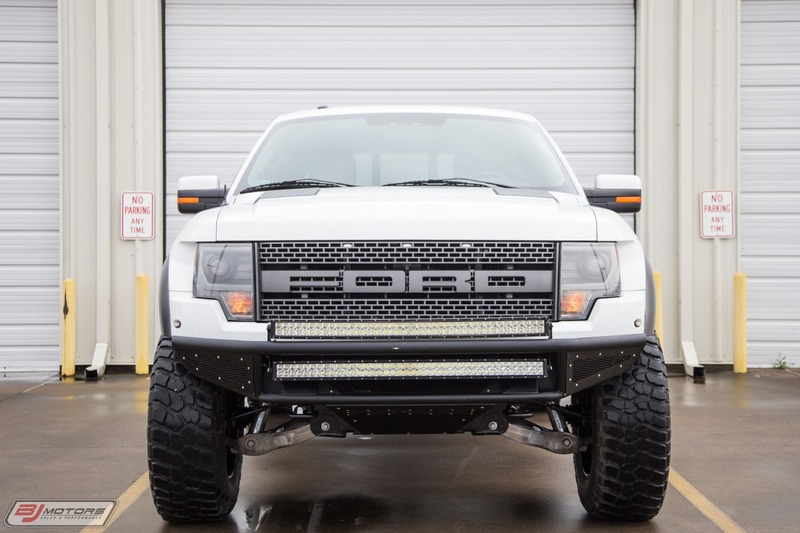 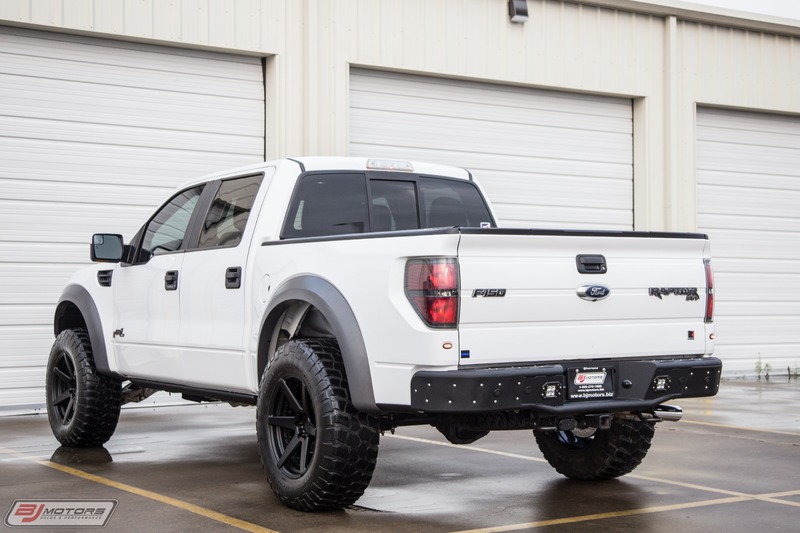 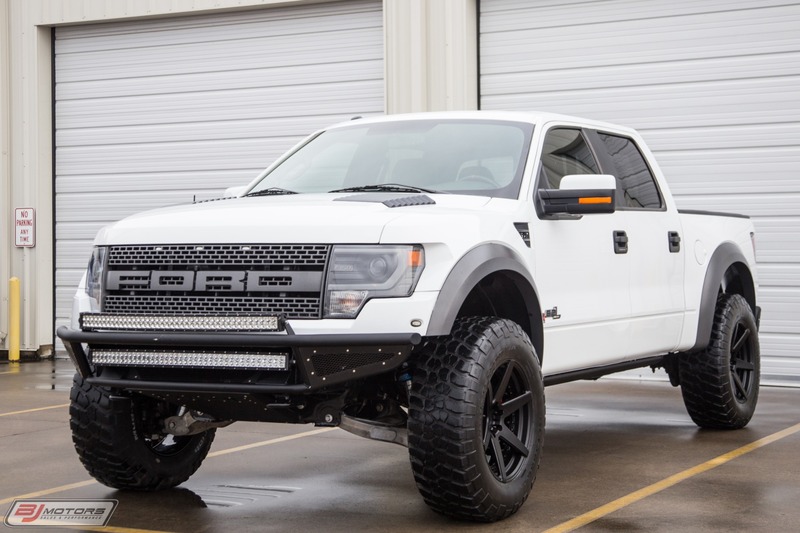 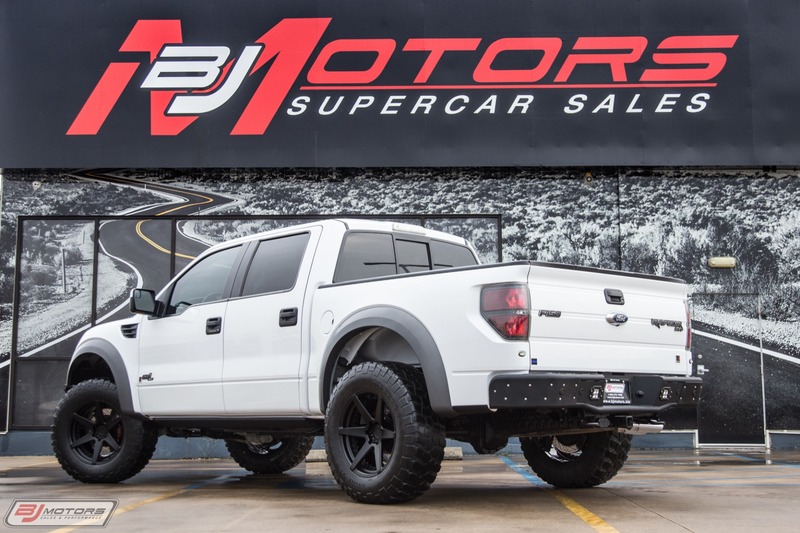 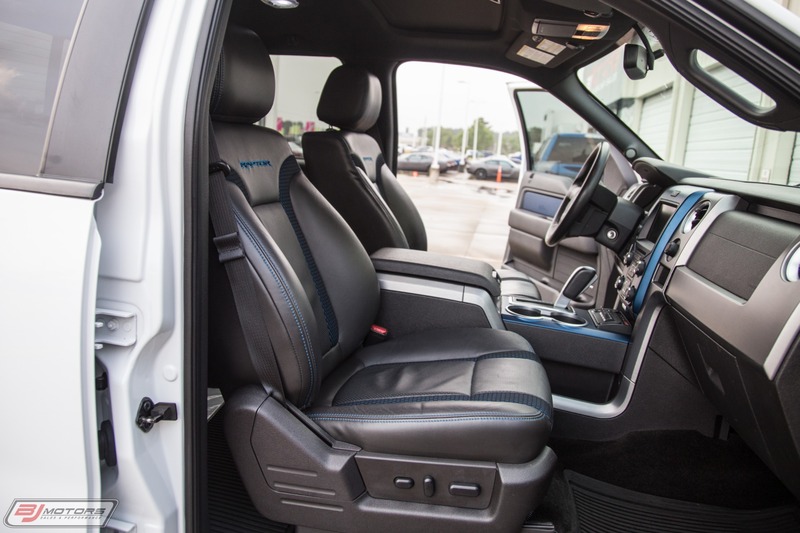 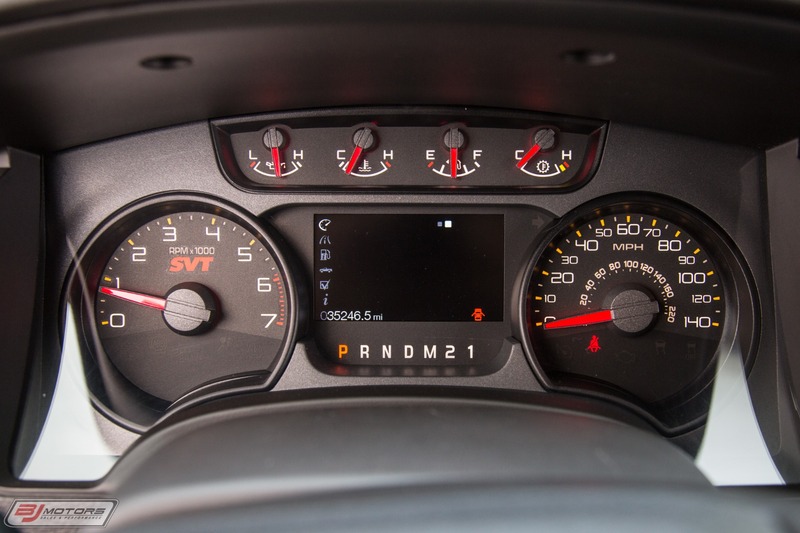 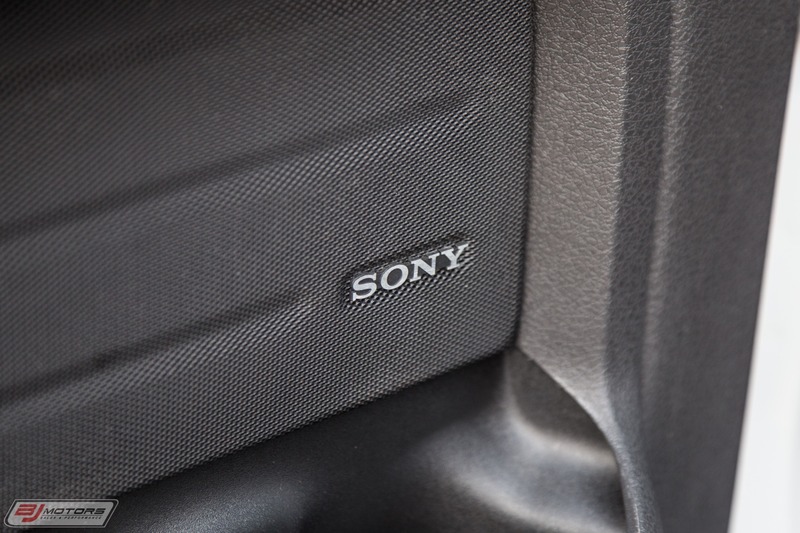 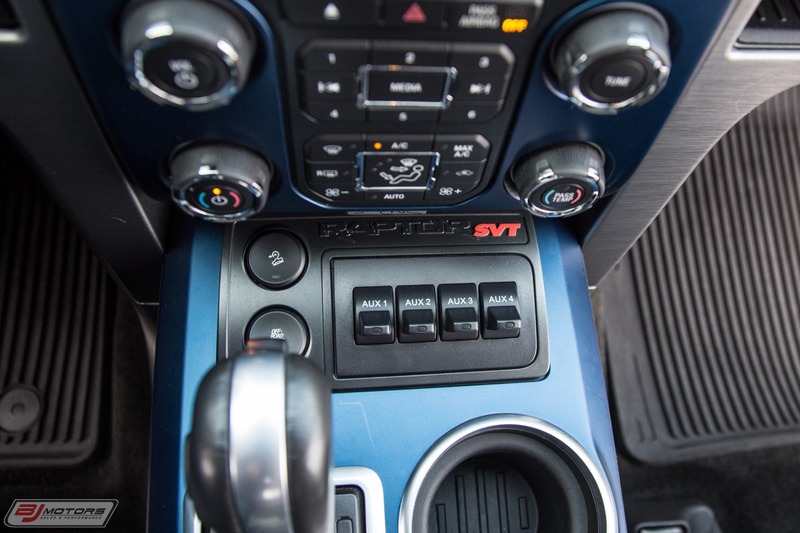 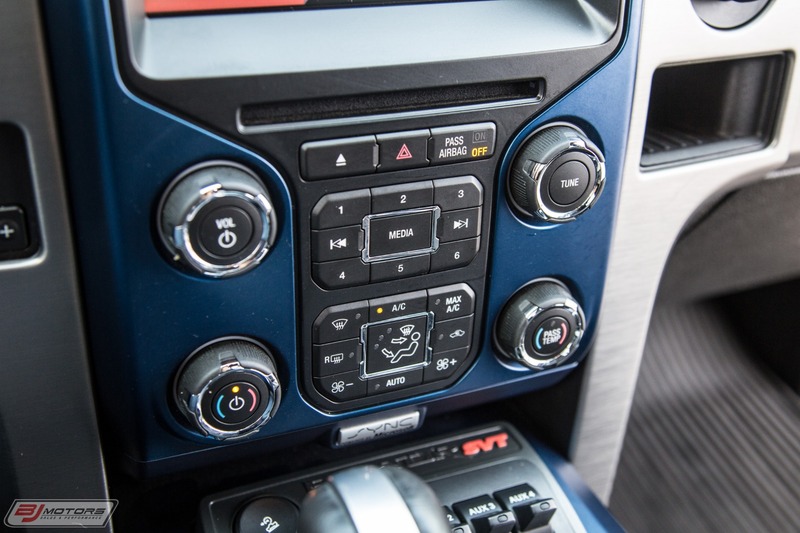 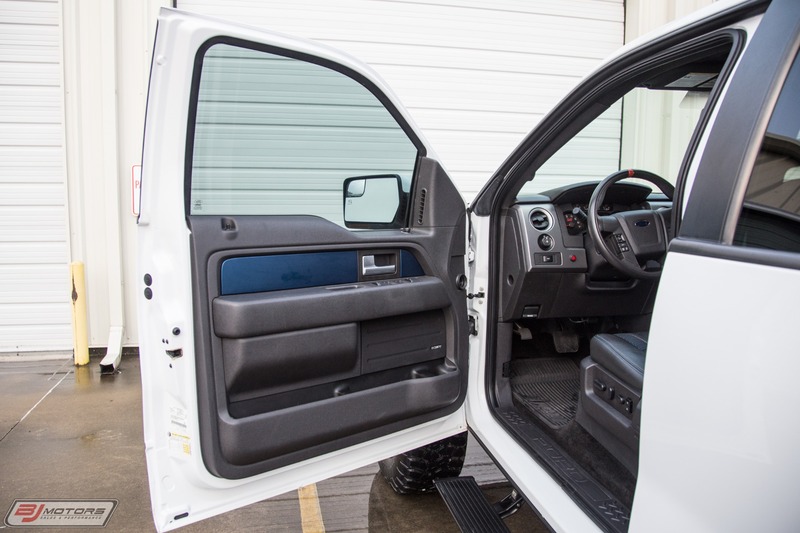 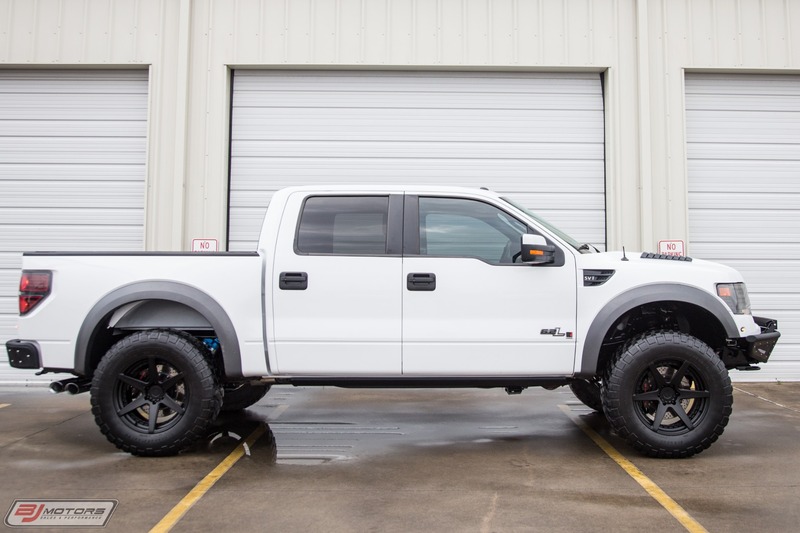 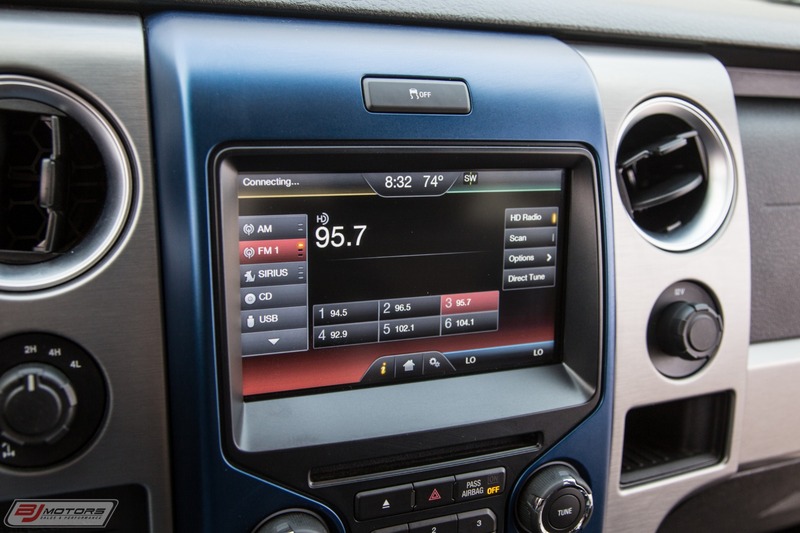 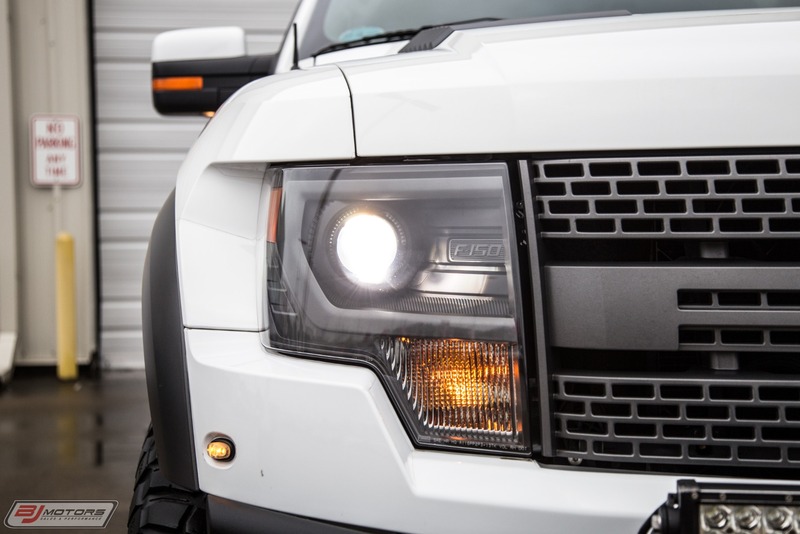 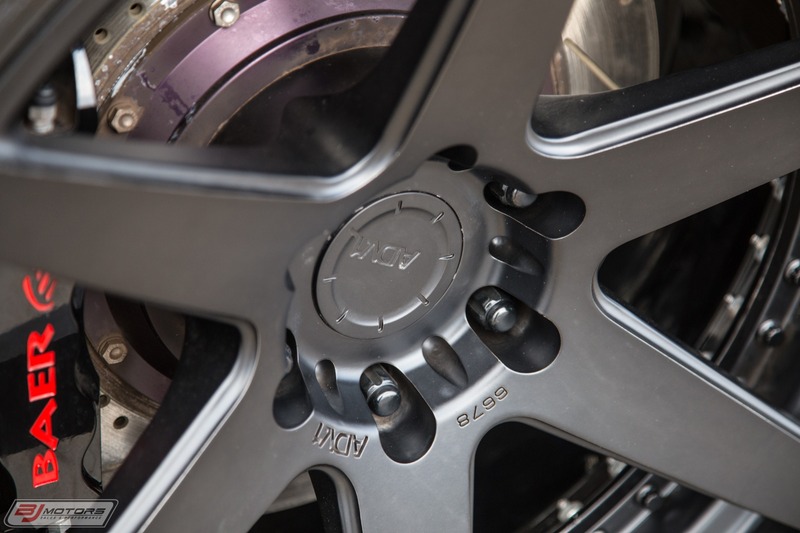 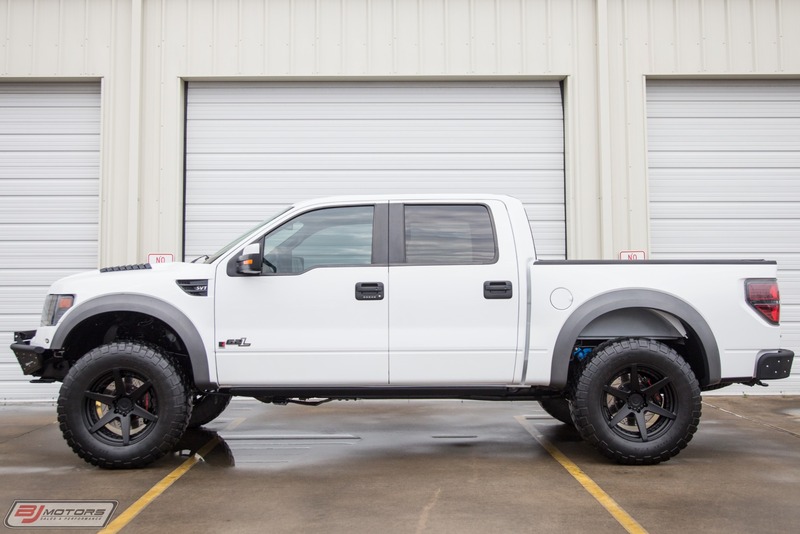 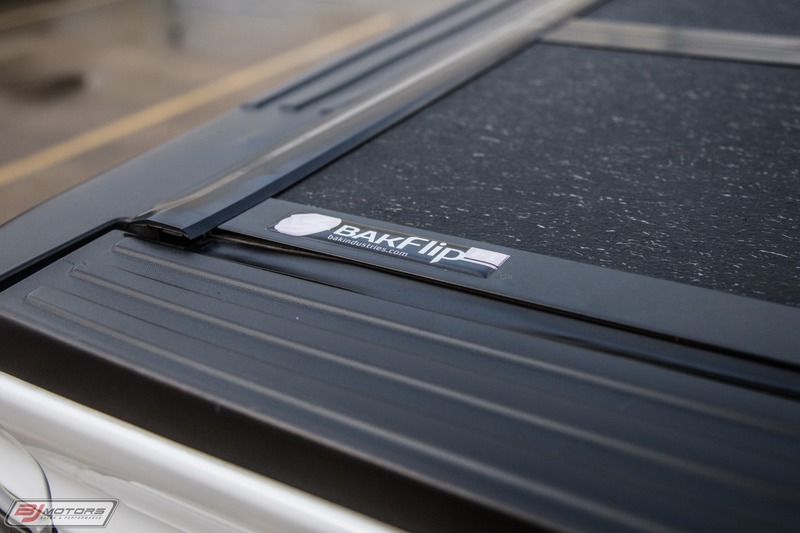 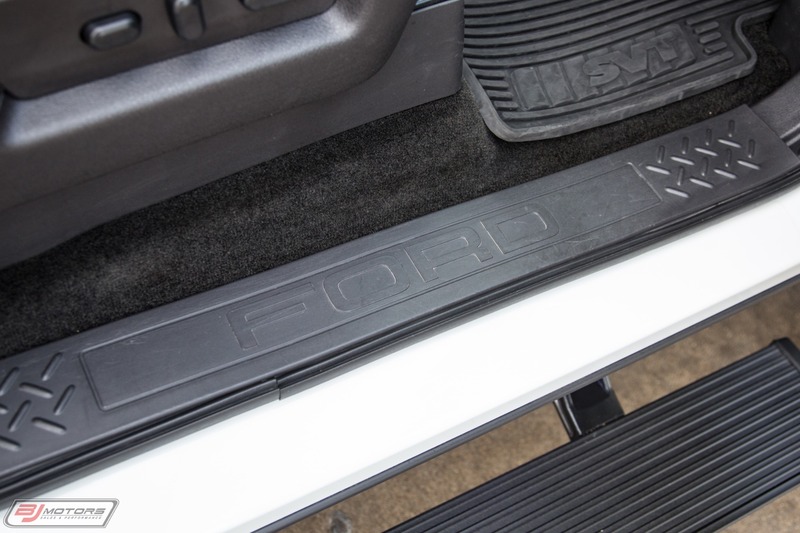 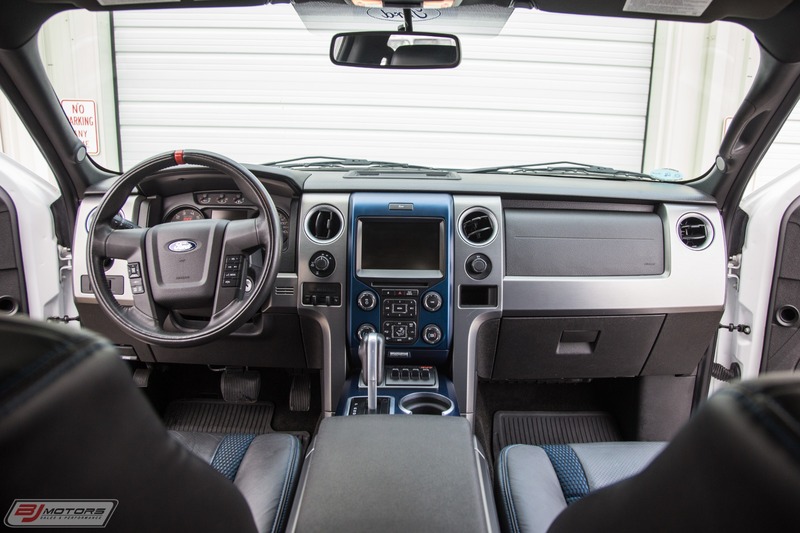 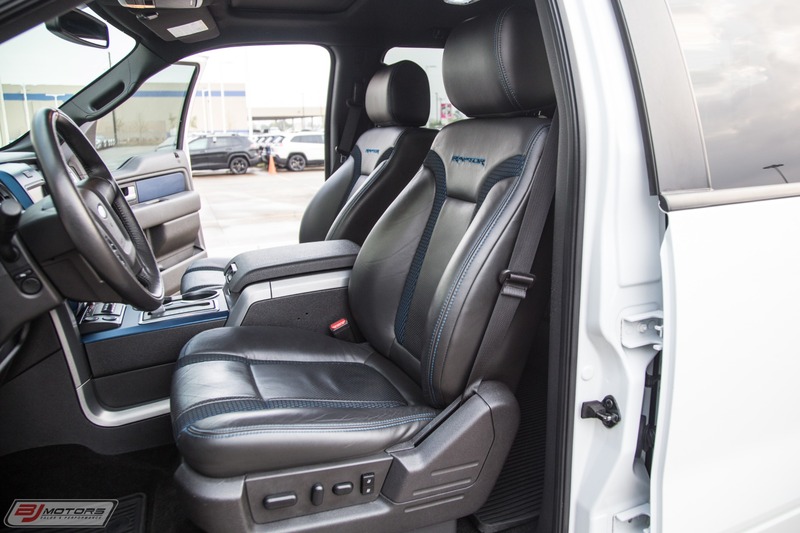 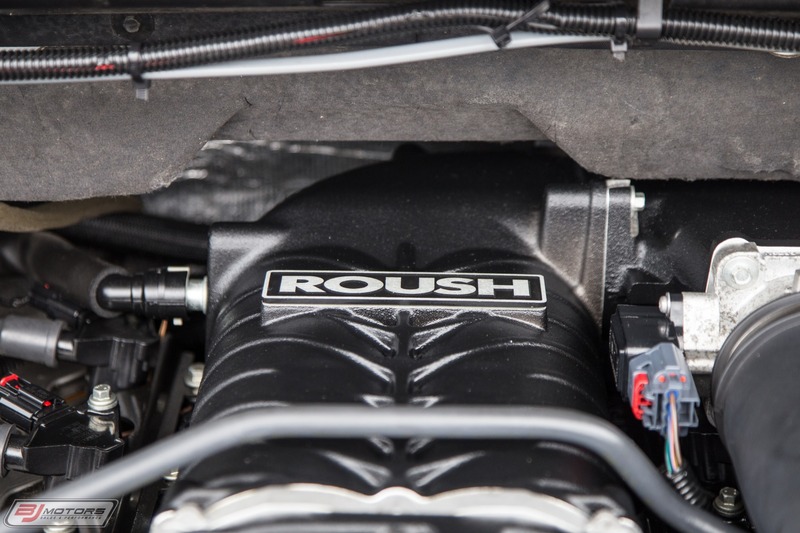 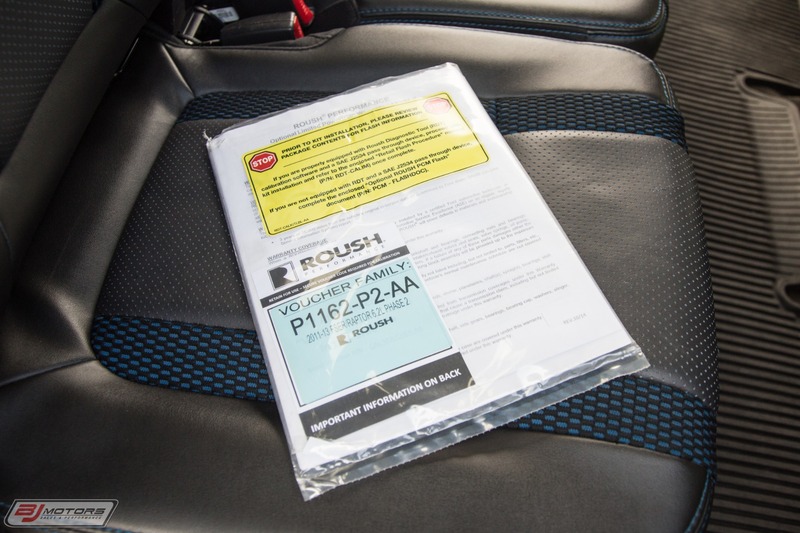 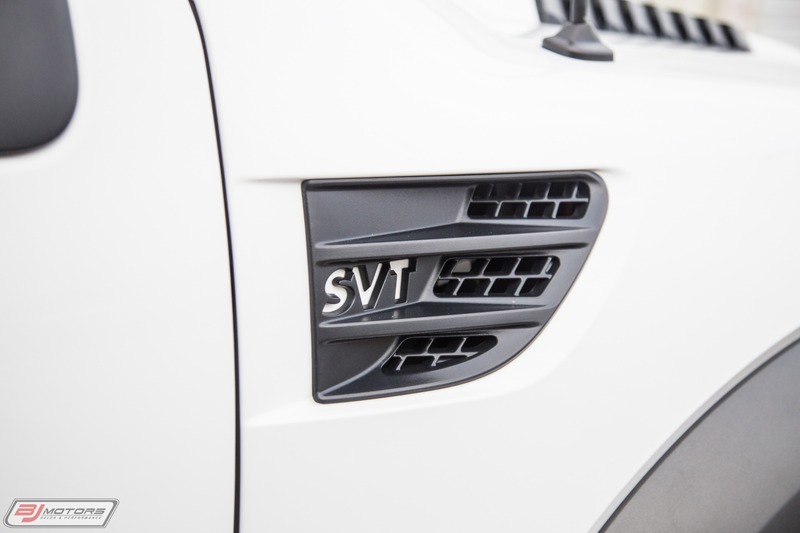 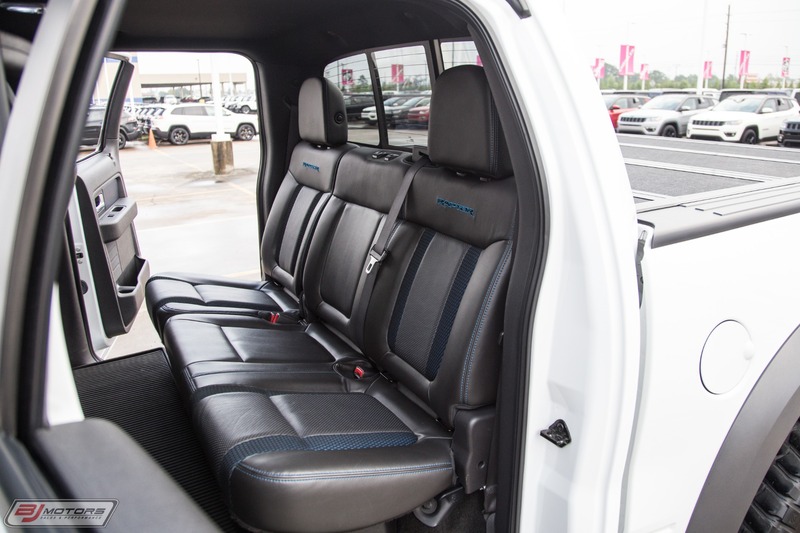 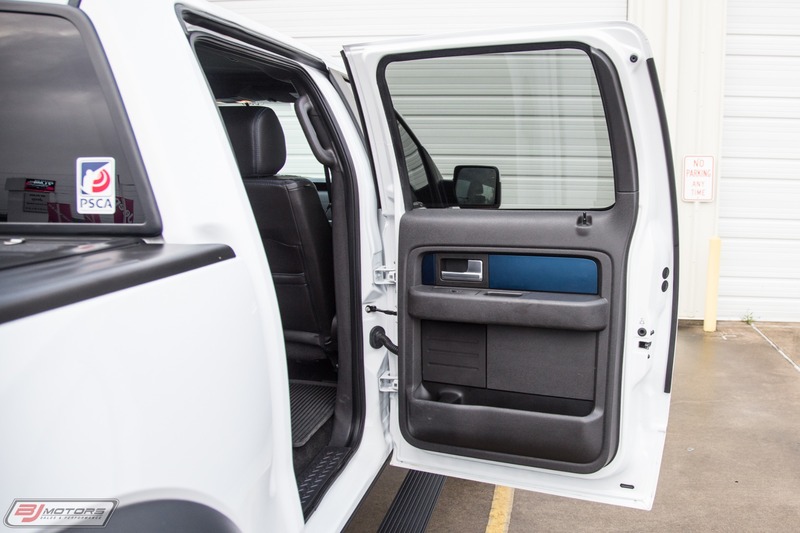 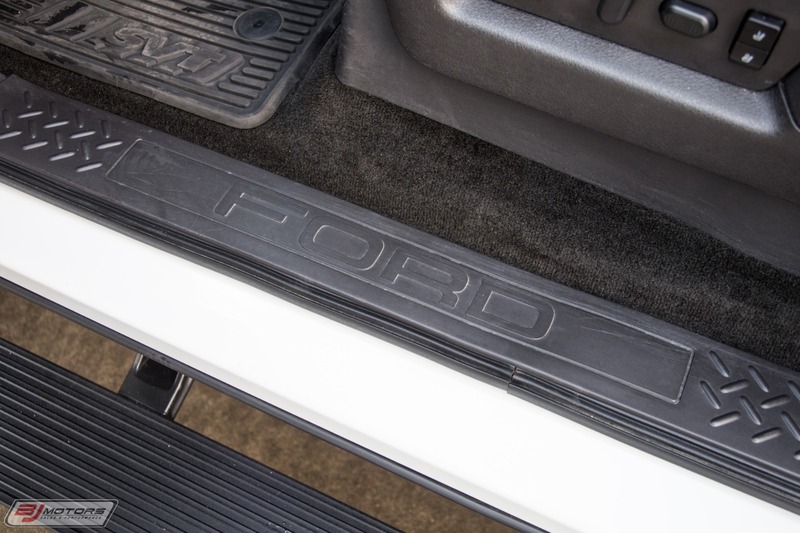 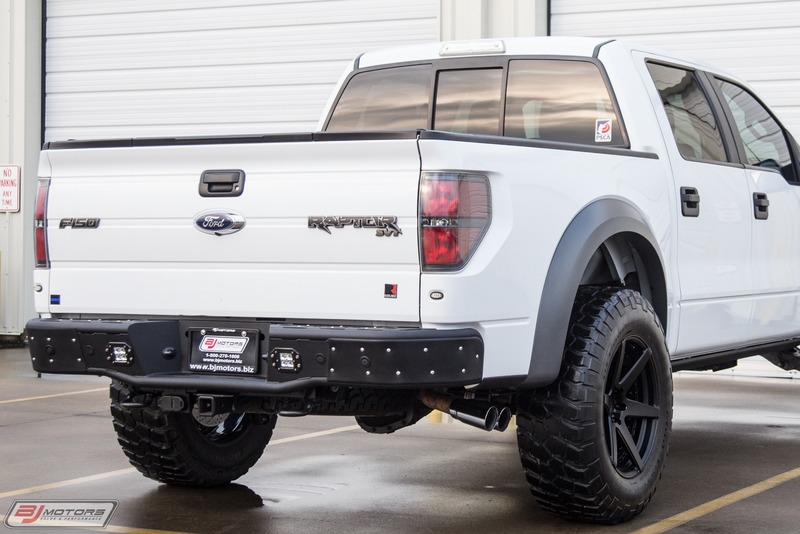 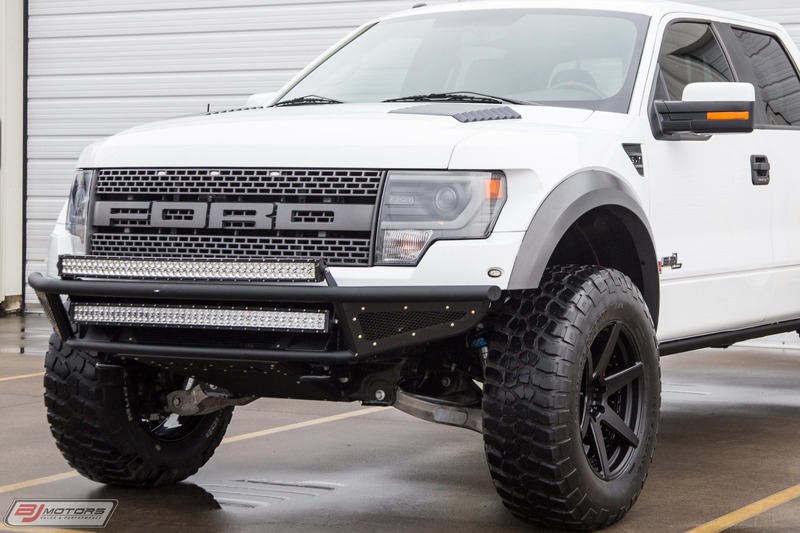 BJ Motors is proud to offer this 2014 Ford F-150 Raptor fitted with a Roush Supercharger. 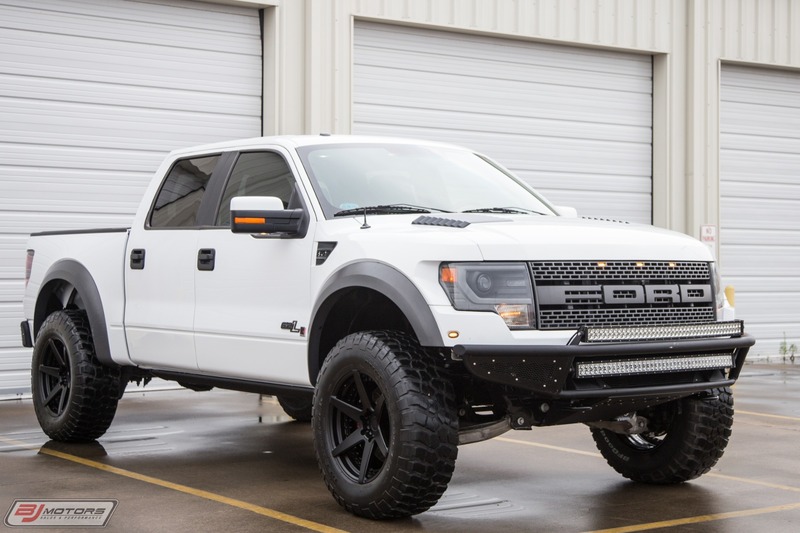 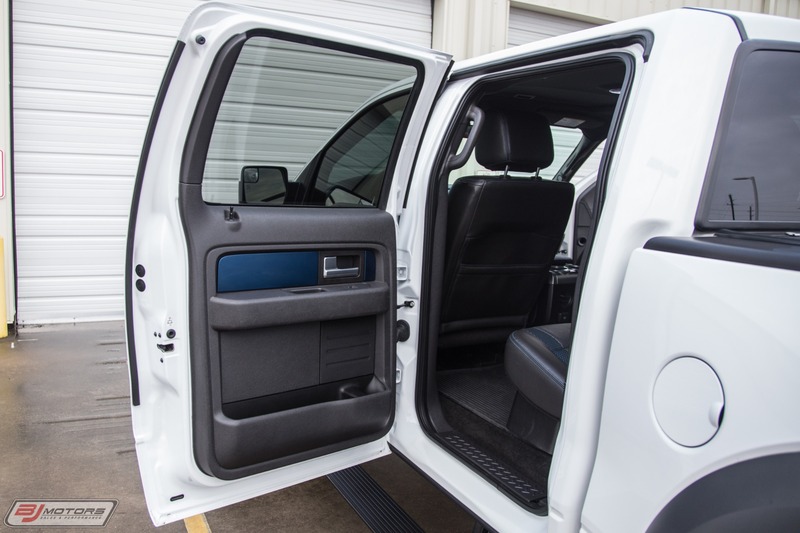 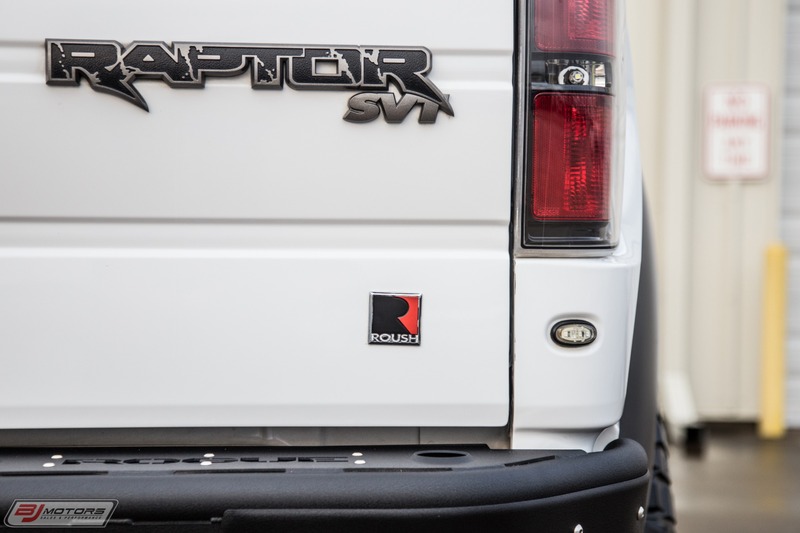 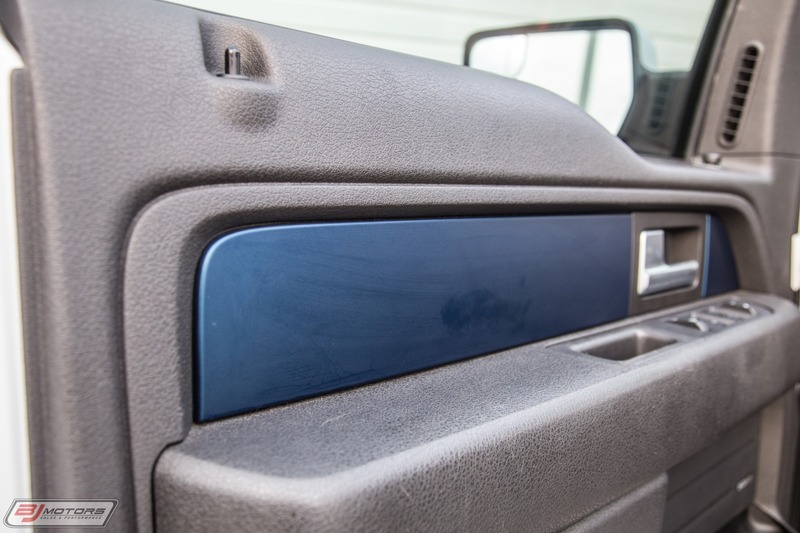 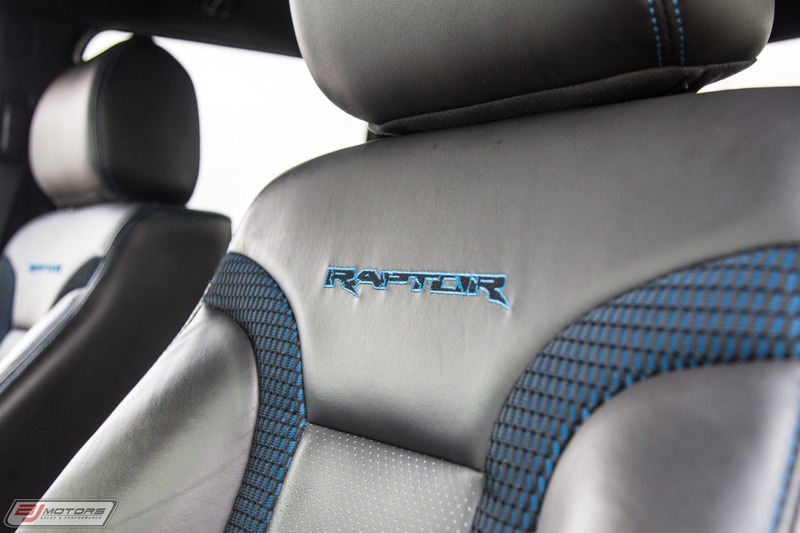 Finished in Oxford Whit over Black and Blue Interior, this Raptor comes to us with only 35,246 Miles from new. 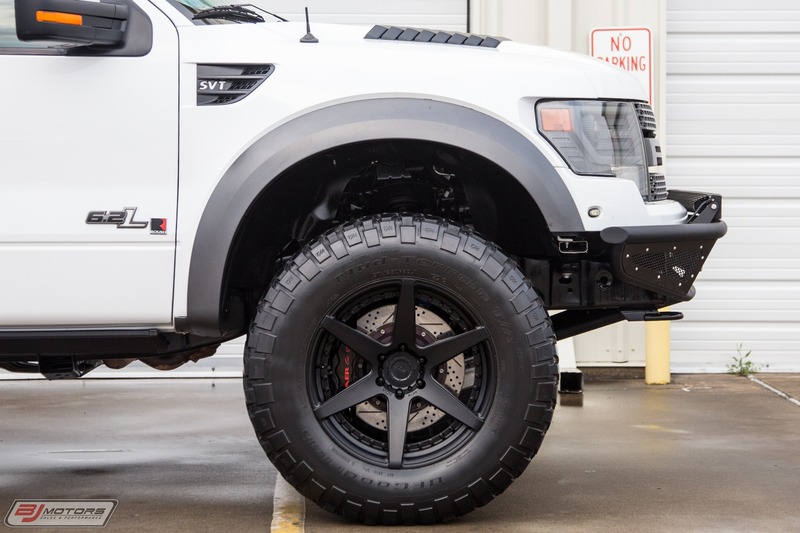 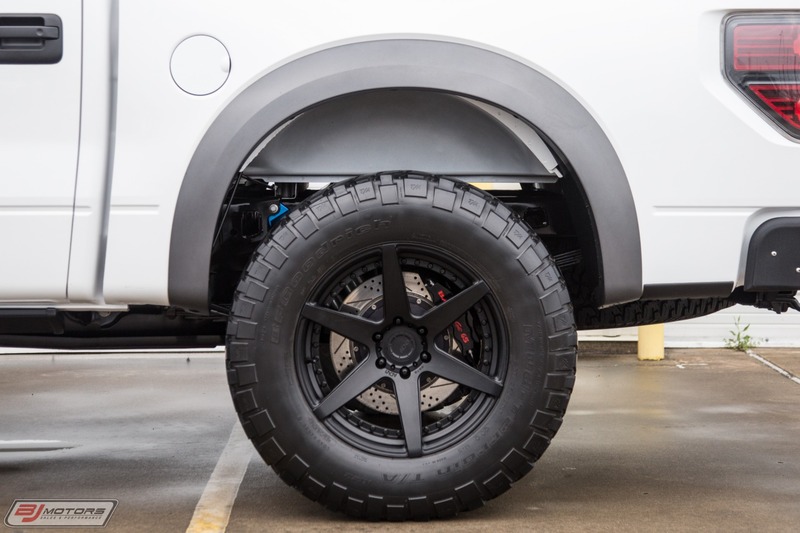 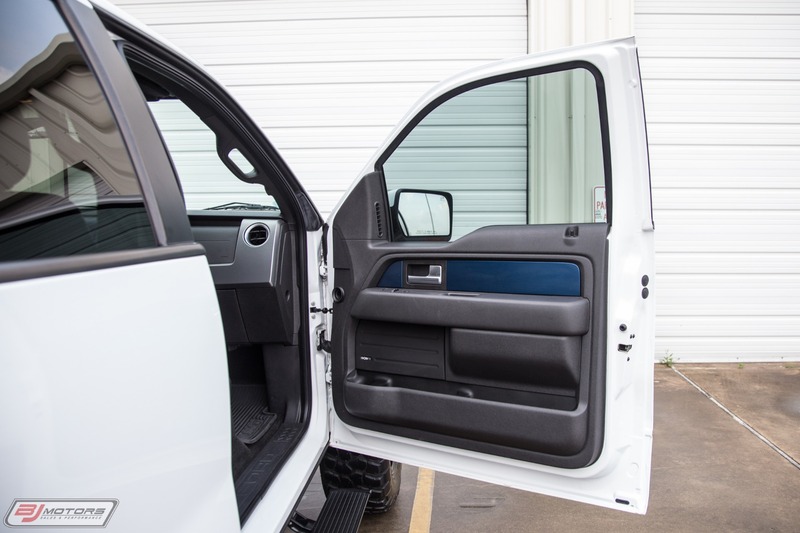 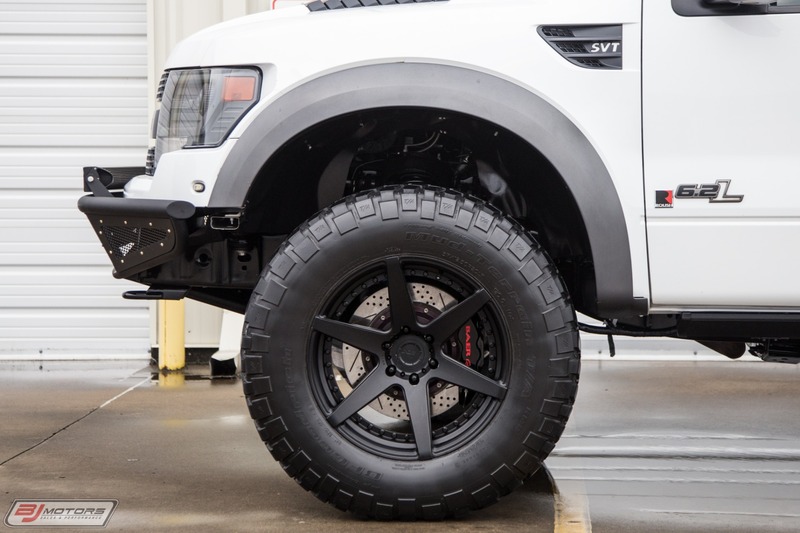 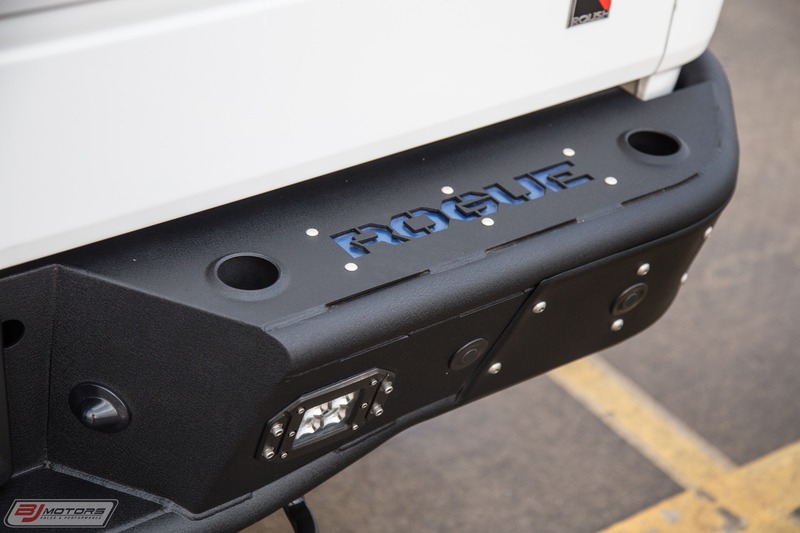 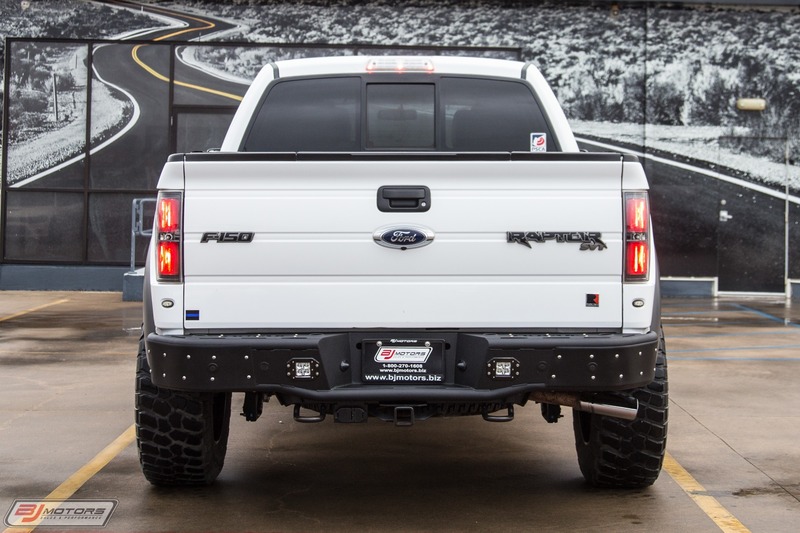 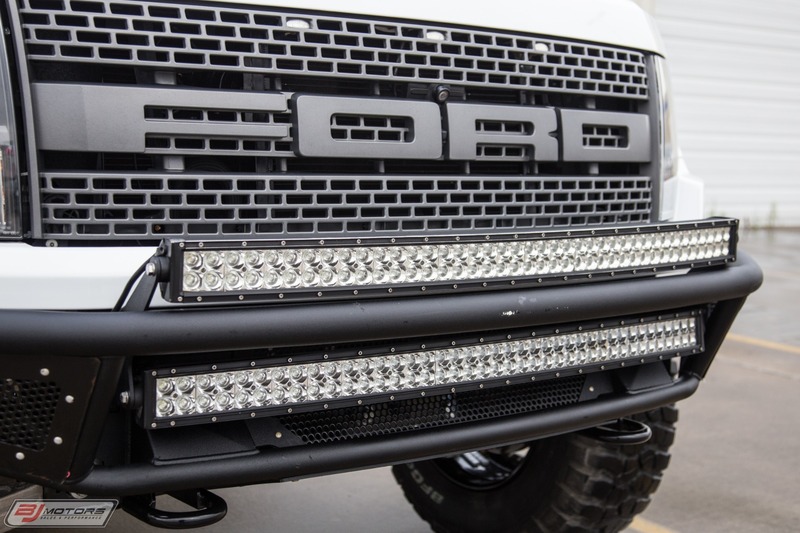 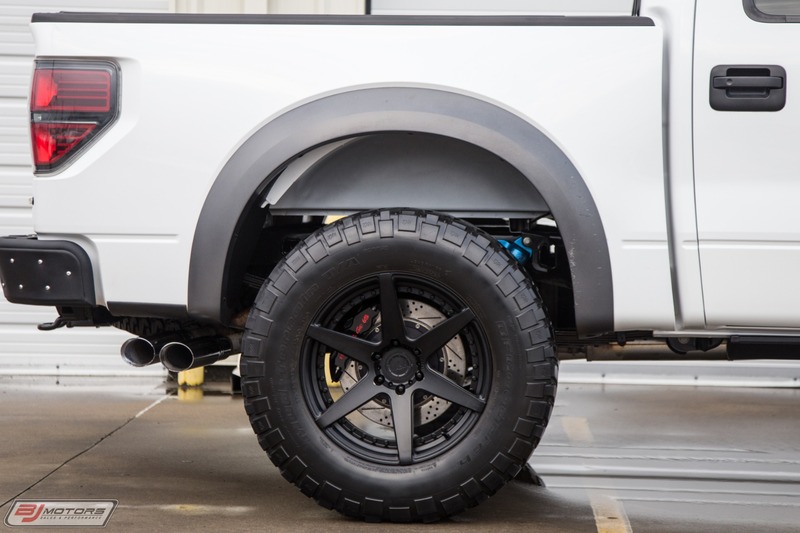 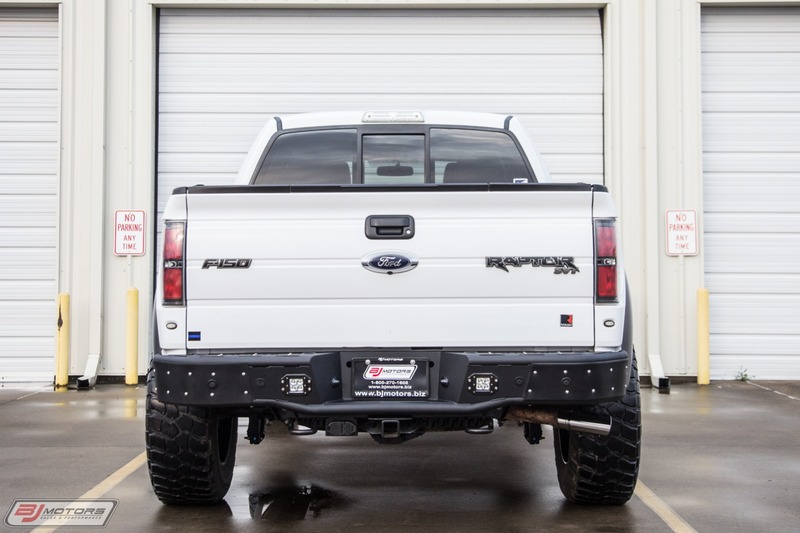 Along with the Roush Supercharger kit, the truck includes a number of awesome upgrades, such as the ADV1 Wheels with 37 x 12.5 x 20LT Mud Terrain TA Baja Tires, Dual 50" Light Bars, Rear Cube Bars, Rogue Front and Rear Bumpers, Truxedo Trunk Cover, as well as a cooler in the bed with controls on the dash. 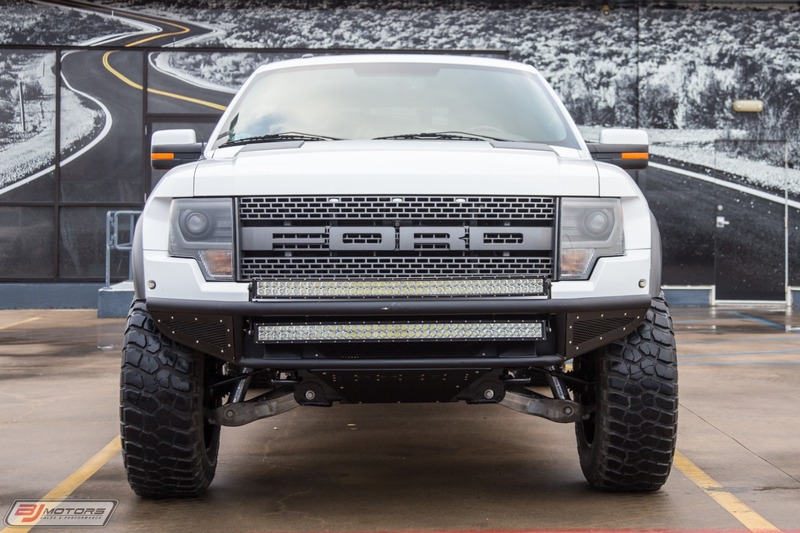 We had the pleasure of building this truck back in 2014, and we are honored to have it back in our care.